Imagine you’re back in school as a child. It’s a rainy day, and school goes on. Everyone is called into the gym, which doubles as chapel and school assembly meeting place. 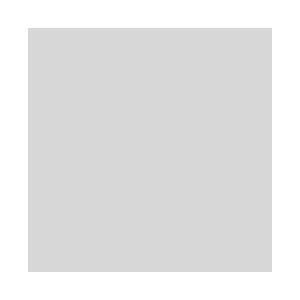 You select your spot carefully, trying to avoid standing in a puddle of water or in the shower of rain falling through gaping holes in the roof. You wish the roof didn’t have holes, knowing that games and sports will be out of the question later in the day due to all of the water. You try to pay attention in chapel, but you’re working hard to avoid the ponds on the floor … and trying to avoid being jostled into a spot under the downpour from one of your classmates. It’s hard to focus with the rain pouring down. It’s difficult to hear and uncomfortable, but you’re grateful for your friends and the teachers … still, you can’t help wishing someone would help the school fix the roof so there would be a dry, comfortable place for assemblies, chapel, and sports. Welcome to Instituto Francisco G. Penzotti, a school in the capital city of Tegucigalpa, Honduras. Begun in 1969 by a group people who had the vision and heart to develop a quality school providing Christian values through education, this academy has served children from Tegucigalpa in providing an excellent adademics for 46 years. A significant number of the students served are from hard working families, and many of the alumni have gone on to successful careers as attorneys, civil servants, and business leaders. Two women in particular are treasured icons at the school and have dedicated a great part of their lives to this missionary field in Honduras. Edith Peters and Martha Peaslee were among the group founders of Penzotti, where they still faithfully serve nearly a half century later. actively involved in every detail of this institution. Her passion for these children, the Gospel, and quality education is vibrant and has a profound impact on Penzotti Institute, as well as Tegucigalpa, the largest city in Honduras. She has poured her wisdom, godly counsel, and caring into many young adults. I myself have been privileged to be one of those who have been blessed by Edith’s ministry and mentorship. Penzotti decided to build a multi-purpose gym in 1982. With limited resources and great faith, the school leaders pursued the funding and building of the gym, and God provided the necessary resources. The completed gym became far more than a sports and physical education center, it also has been the meeting place for weekly chapel and for all school assemblies. It serves a very important role in the lives of the students and staff. Yet, after 26 years of weather, wear and tear, and few resources for repairs, by 2015 the roof had numerous gaping holes several feet in diameter. As you can imagine, this created challenges in using the gym for activities and meetings, and the floor was being damaged. Edith knew that the roof needed to be replaced, and asked TerraMica to partner with Penzotti to provide half of the funds for replacing the roof, which we were pleased to do. 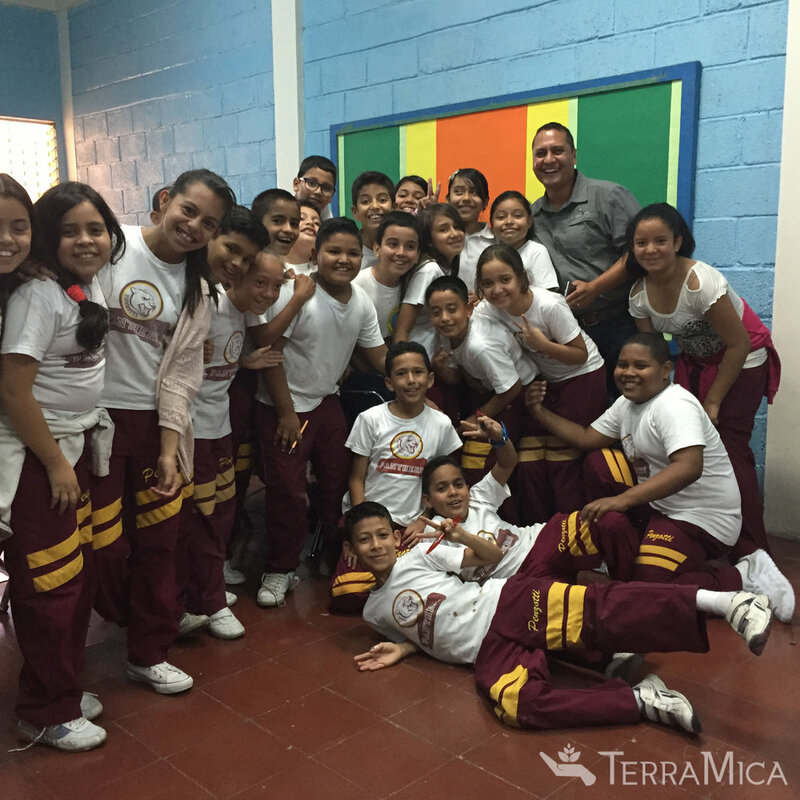 TerraMica donated the funds to Penzotti Institute in November 2015, and work began soon after. Now the gym has a solid new roof, and children can enjoy athletics, chapel and assemblies in a dry gym! Edith Peters is a teacher by profession and a missionary by the true calling of Christ, and she personally sets an example of integrity, dedication, discipline, love and hard work in everything she does. She reflects in every way what a true daughter of God should be by seeking daily to be shaped by the Holy Spirit. In the many years I have known her, I can bear witness, like many others that have met her, of God's work in her life that has significanlty affected lives like mine. It is women like Edith Peters and Martha Peaslee that, with such passion and energy for the gospel, have mad an incredible impact in this community. TerraMica looks forward to working with quality partners like this in future projects impacting education, faith, and children. 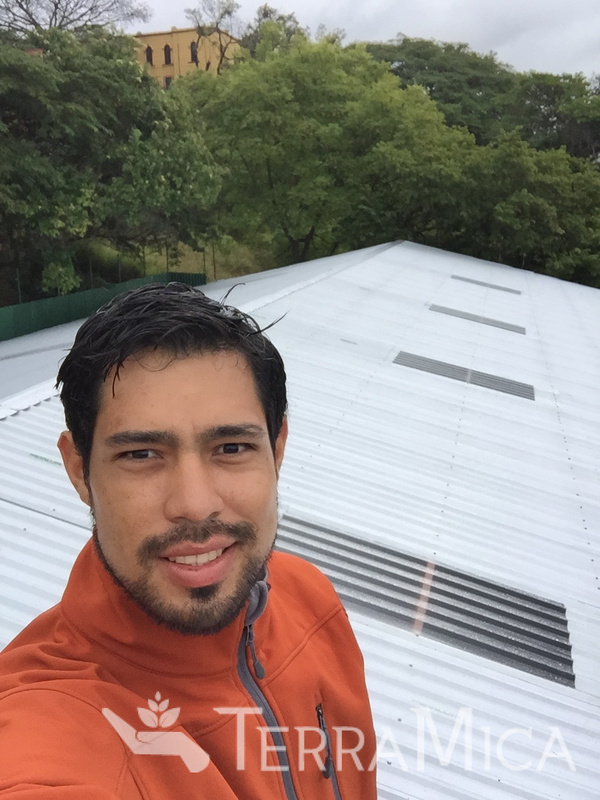 Jorge Sosa on the new gym roof at Penzotti Institute, Honduras. God’s Kingdom. Our organization is honored to have supported the mission of Penzotti Institute by meeting this need. Jorge Sosa is the TerraMica Country Manager, Honduras. He oversees and leads TerraMica projects throughout the country. He has a University degree in Environmental Biology, has worked in community development with several organizations, and has been involved with Ecological Research 2012-2013. In addition, Jorge has participated with medical brigades and dental brigades serving people in need, as well as serving with Awana for 3 years, and outdoor recreational leadership for 6 years. Jorge is passionate about nature, travel, cycling, friends, family, and God.